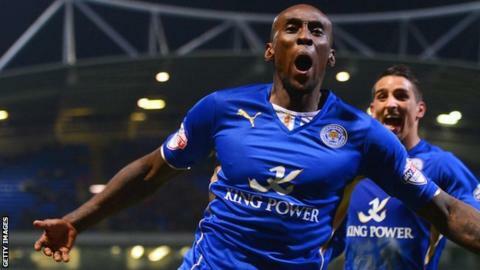 Lloyd Dyer is set to leave Leicester City after contract talks with the Premier League-bound club broke down, reports BBC Radio Leicester. Winger Dyer's current deal runs out this summer, although he has been offered a one-year extension. The 31-year-old has made 266 appearances and scored 39 goals since joining City from MK Dons in 2008. Leicester City manager Nigel Pearson and eight of his players are in the final year of their contracts. They are: Kasper Schmeichel (pictured), Sean St Ledger, Marcin Wasilewski, Zak Whitbread, Neil Danns, Gary Taylor-Fletcher, Lloyd Dyer, David Nugent. Dyer scored the winning goal at Bolton last month to seal the Championship title for the Foxes. His final game for the club could be Saturday's match against Doncaster Rovers when Leicester will lift the Championship trophy at the King Power Stadium. The former West Bromwich Albion trainee, who had loan spells at Kidderminster, Coventry City, Queens Park Rangers and Millwall before joining MK Dons in 2006, has scored 10 goals in 45 appearances for City this term. Dyer is one of eight players, including leading goalscorer David Nugent and goalkeeper Kasper Schmeichel, who have helped Leicester return to the top-flight after a 10-year absence while in the final year of their contracts. Manager Nigel Pearson's current deal also runs out in the summer, but Leicester City vice-chairman Aiyawatt Srivaddhanaprabha has said he hopes the 50-year-old will remain at the club. Veteran striker Kevin Phillips, who was also out of contract as a player at the end of the campaign, announced his retirement this week and will take up a coaching role with City next season.